The Zillow Real Estate mobile app has all the features anyone who wants to buy, sell, or rent a home in the US could want. Created by Zillow, it comes with a mortgage calculator, housing rental costs and values. It relies on GPS technology, so you will be able to use it as you drive around looking for property. It obtains real estate information from your location. To use, just tap Current Location and a map will pop up. Values will be shown, while color-coded arrows signify whether a property is for sale, been sold or available for rent. Zillow moves along with your travel so the data is relevant to your position. You can also type specific locations (city, neighborhood or a particular address). Zillow Real Estate has two views: street map or aerial. You can also access information by its list feature. You will see how many weeks or days a property has been listed. There are also photos, price histories and other relevant data. You will find more information about a particular property. Homes listed on Zillow have exterior images (and interior photos if submitted). The scrollbar makes it easy to go through this list. With over 100 million homes listed, Zillow is very comprehensive. The functionality is similar among these apps, but the screen is obviously much bigger on the iPad. You can set up the images and view them side by side. Tapping and swiping your fingertips gives you absolute control over it. Searches can be filtered by keywords, prices, mortgage payment and more. 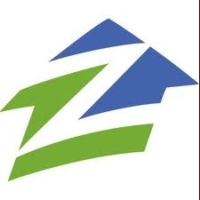 The Zillow Real Estate mobile app is available for iOS, Android, Windows Phone and BlackBerry.